My dad is good at text chains. I got to work early, had a productive morning, ate lunch on the water with TaskRabbit Amy, had a productive afternoon, caught up on FaceTime with Le, Jamie, Kelly, my dad, Bryan and Jess, chatted on the phone with Laura, ran five miles, worked out, ate a healthy dinner, showered, watched two episodes of Queer Eye (B cried, obvi) and am now cuddling with my dogs. 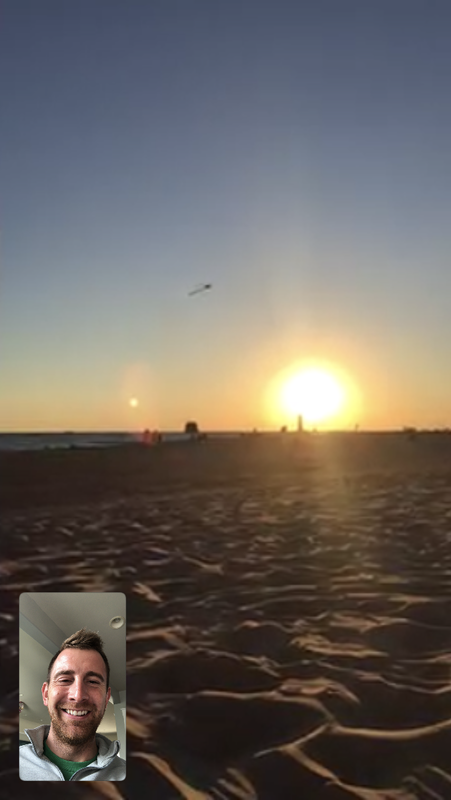 The best part, thus far, about doing this 40 Before 40 thing is when a loved one randomly facetimes me into a far-flung sunset.